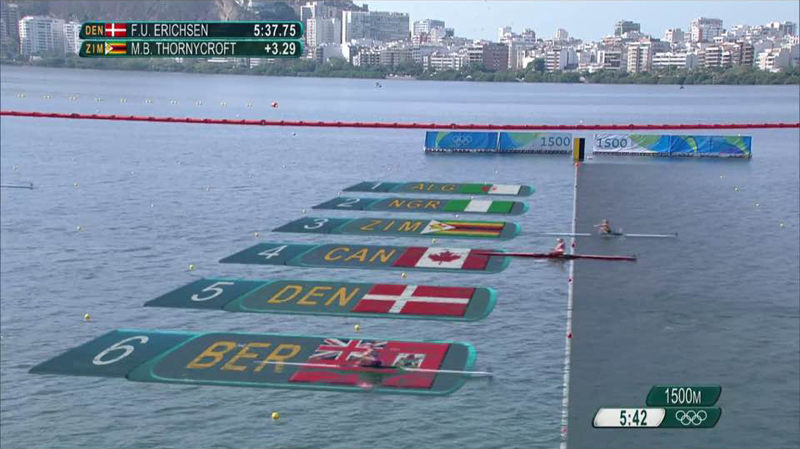 By fractions of a second, Shelley Pearson narrowly missed out on advancing to the women’s single sculls rowing A/B semifinal at the 2016 Rio Olympics. Denmark’s Fie Udby Erichsen, who won silver at the London Olympics, was victorious in Pearson’s heat. The Bermudian was in in a fierce competition to get one of the other two coveted spots with Zimbabwe’s Micheen Thornycroft and Canada’s Carling Zeeman and was barely piped at the line. The top three people from each heat advance to the A/B semifinals with the bottom three to the C/D semifinals. Pearson will next compete in the C/D semis on Thursday with the rowing competition scheduled to start at 9:30am. 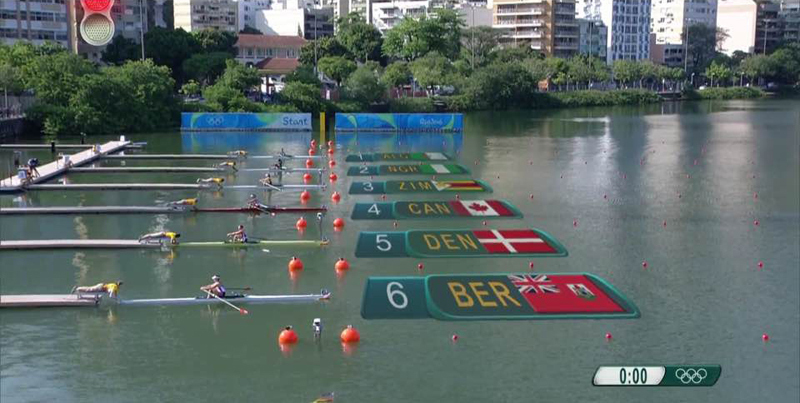 Trinidad & Tobago’s Felice Chow, was fifth in the second heat and will also advance to the C/D semi-finals. Update 6.23pm: Pearson, competing in choppy waters, finished just 0.38 second out of third and 0.52 seconds out of second. She told Bernews, “It was sad for it not to have been enough, but at the same time I am so incredibly excited and happy to have been so close to so many athletes that I have so much respect for. After a solid start, Pearson managed to close the gap in the last 1,000 metres of the race against her higher ranked rivals. The Bermudian wasn’t sure if she had done enough to earn third, but she thought she was in fourth as she waited anxious moments for the official results to be announced. 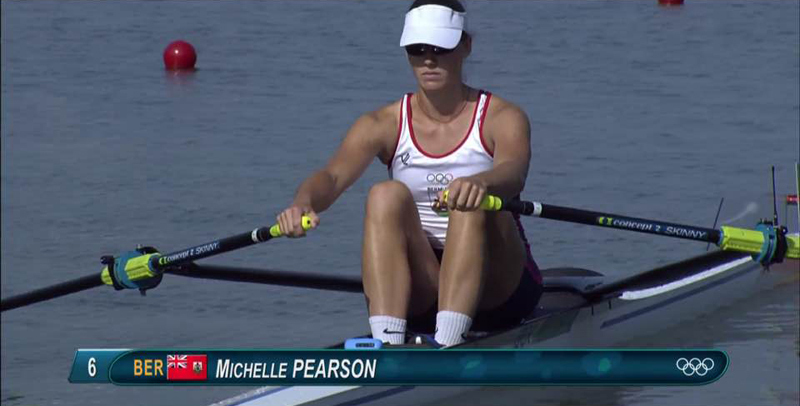 With the announcement that she was fourth, Pearson is now fiercely determined “to do the best” she can in the C semifinal. She appreciates all the support she has received back home and from the contingent that has come out to watch her race. Still Proud of you !!!!!!! Congratulations Shelley, so much hard work but it is all paying off. Good luck on Thursday we are all routing for you.